Our Dota 2 Auto Chess tier list for April 2019 lists all the races, classes and combinations from strongest to weakest based on community feedback. Dota 2's Auto Chess custom mode is a remarkable success story. First off, it's not even an official Valve mode, but a community mod. Secondly, it's absolutely taken off without any backing, whether that be marketing, promotion or otherwise. 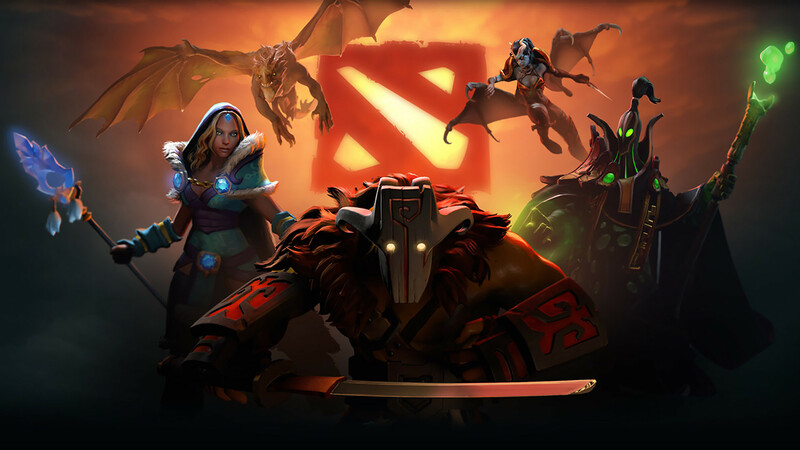 It's drawn in tonnes of strategy-minded players who've either lapsed from CCGs like Hearthstone or those seeking a break from the traditional MOBA experience found in, well, Dota 2 itself. Valve obviously doesn't mind, though. As long as players are enjoying Dota in any capacity, it's fine with Auto Chess' scucess. It also helps that Auto Chess is a fantastic remix of Dota's universe, borrowing its heroes and abilities, and adapting them into a game defined by strategic micro-battles against both players and AI alike. Not to mention there's incredible depth to the game too. There are many races to choose from, multiple players per match, creep waves to take on, item upgrades to find, an economy to manage and much more. It's home to a plethora of chess pieces (based on Dota's heroes) and classes, each with their own traits, stat bonuses and potential combinations. For many, the prospect of playing Dota Auto Chess can be a daunting experience. It's a steep learning curve as there's nothing really like it out there, and tool-tips aren't exactly in abundance, meaning that you've largely got to figure things out for yourself. Basically, it's a bit of a nightmare to get your head around what you're doing right or wrong if you're coming in fresh. One of the keys to success in Dota Auto Chess is knowing what units are stronger than others - just like Dota 2 or any other hero based game for that matter. To give you a better idea of what's considered hot or not right now, we've put together a tier list which ranks all of the units in the game. This tier list isn’t definitive by any means and is only meant to give new players a better idea of what races or classes may be considered better than others. When it comes down to it, the RNG nature of Auto Chess means it’s important to be flexible and switch strategies on the fly. This means some races or class combinations which aren’t considered top tier can still be extremely strong in the right situation. For a complete overview of Auto Chess, make sure you check out our Auto Chess guide. As the meta's constantly evolving in Dota Auto Chess, expect this tier list to change drastically over the coming weeks but we'll do our utmost to keep on top of things. If you notice any meta shifts, don't hesistate to let us know in the comments section below and we may just feature it in the article itself. Our main resource for April's tier list comes courtesy of mattjestic gaming over on YouTube. He's achieved Queen rank on three separate accounts and has been previously ranked 12th in the world, so he knows what he's on about. Above all though, he's carving out quite a name for himself in the world of Auto Chess video guides and is producing a regular stream of insightful, helpful content. It's definitely worth subscribing to his channel if you're interesting in learning more about the game and growing as a player. Here's mattjestic gaming's video which offers a tier list based on unit cost. He provides reasoning and analysis behind each of his decisions and we'd highly recommend giving it a watch! Below we've separated all the chess pieces into categories based on the meta right now. As more pieces are introduced, and as the meta evolves, we'll do our best to keep this up to date. We've now added both Zeus and Mars into our tier list below, but we thought it would be wise to add some thoughts on how they perform too. Zeus and Mars have the God race trait which is extremely strong, but hard to pull off. It's a buff which reduces halves all of your allies' cooldowns. However, you need to have no other class/species on the field to trigger this buff, which is a pretty tall order, especially if RNG hasn't treated you well. Manage to fulfil these tricky requirements and your next step will be surviving long enough to start ramping up your team power. The buff they provide can create an unstoppable team if you hold out until the late game, but against highly ranked players it'll be very tricky to do so. Due to this, Zeus and Mars aren't great for those seriously aiming to rank up as there are simply too many variables which could go wrong. For the reasons above, Zeus and Mars are better suited to public games where rank doesn't matter and you can have a bit more fun with them. What’s considered strong right now? We've listed all of the units which are top choices at the moment, thanks to their versatility and overall strength. You'll definitely want these pieces in your roster. These units are all worth picking up if you're working towards a specific composition or if you've got some gold to burn in the late game. We'd recommend watching this video by Kripparian if you're new to Auto Chess as it provides a great explanation of how it all works. By no means are these categories terrible, but if you've got alternative options then you might want to think about looking to those instead. As always though, they can be great in very specific situations. @Phy Thanks for the spot! We've cleared that up now. You got Alchemist listed 2 times... Once in "average to weak" and the other in "whats considered strong right now". Small mistake: Razor is listed as Knight in this list, but he's a Mage. @jd4k Thanks for your comment! We've added both of them into our tier list, as well as all the new additions.